**FULLY LOADED 2012 JETTA SE 5-SPEED MANUAL W/ SUNROOF AND CONVENIENCE PACKAGE, LEATHER, BLUE-TOOTH, ALLOY WHEELS AND SO MUCH MORE!! **, ~LOCAL TRADE-IN...PERFECT CONDITION...PERFECTLY MAINTAINED! !~, **BEST COLOR COMBO**, Recent Arrival! Odometer is 29733 miles below market average! 23/33 City/Highway MPG Welcome to Brandon Volkswagen, a family-owned and operated full-service dealership. Come see why we're one of the HIGHEST VOLUME SELLING PRE-OWNED DEALERS in TAMPA BAY! We start with a GREAT SELECTION of PREMIUM INVENTORY all listed at BELOW MARKET PRICING and continue on to provide a GREAT SERVICE EXPERIENCE throughout the buying process! All of our prices are BASED ON THE RESEARCH of competitive vehicles in our local marketplace -They are ACCURATE and IN-LINE with what you will find through your own research. This helps to avoid a lengthy back-and-forth negotiation process! WE INVITE YOU TO BUY WITH CONFIDENCE!! We sell in quantity and offer the LOWEST PRICE on the best hand-picked vehicles; only a portion pass our rigorous inspection process! Call today to EXPERIENCE THE DIFFERENCE! Contact our Internet Sales team now at 813-630-4000. **1-OWNER 2012 JETTA TDI DIESEL W/ LEATHER, ALLOY WHEELS, HEATED SEATS AND SO MUCH MORE!! **, ~BEST COLOR COMBO~, **GREAT MPG!! **, ~WON'T LAST! !~ 30/42 City/Highway MPG Welcome to Brandon Volkswagen, a family-owned and operated full-service dealership. Come see why we're one of the HIGHEST VOLUME SELLING PRE-OWNED DEALERS in TAMPA BAY! We start with a GREAT SELECTION of PREMIUM INVENTORY all listed at BELOW MARKET PRICING and continue on to provide a GREAT SERVICE EXPERIENCE throughout the buying process! All of our prices are BASED ON THE RESEARCH of competitive vehicles in our local marketplace -They are ACCURATE and IN-LINE with what you will find through your own research. This helps to avoid a lengthy back-and-forth negotiation process! WE INVITE YOU TO BUY WITH CONFIDENCE!! We sell in quantity and offer the LOWEST PRICE on the best hand-picked vehicles; only a portion pass our rigorous inspection process! Call today to EXPERIENCE THE DIFFERENCE! Contact our Internet Sales team now at 813-630-4000. **IMMACULATE 2013 JETTA 2.0L TDI DIESEL PREMIUM EDITION W/ SUNROOF, LEATHER, ALLOY WHEELS, HEATED SEATS AND SO MUCH MORE!! **, ~BEST COLOR COMBO~, **GREAT MPG!! **, 30/42 City/Highway MPG Welcome to Brandon Volkswagen, a family-owned and operated full-service dealership. Come see why we're one of the HIGHEST VOLUME SELLING PRE-OWNED DEALERS in TAMPA BAY! We start with a GREAT SELECTION of PREMIUM INVENTORY all listed at BELOW MARKET PRICING and continue on to provide a GREAT SERVICE EXPERIENCE throughout the buying process! All of our prices are BASED ON THE RESEARCH of competitive vehicles in our local marketplace -They are ACCURATE and IN-LINE with what you will find through your own research. This helps to avoid a lengthy back-and-forth negotiation process! WE INVITE YOU TO BUY WITH CONFIDENCE!! We sell in quantity and offer the LOWEST PRICE on the best hand-picked vehicles; only a portion pass our rigorous inspection process! Call today to EXPERIENCE THE DIFFERENCE! Contact our Internet Sales team now at 813-630-4000. **1-OWNER**, **2012 JETTA 2.0L TDI DIESEL W/ SUNROOF, LEATHER, BLUE-TOOTH, ALLOY WHEELS, HEATED SEATS AND SO MUCH MORE!! **, ~BEST COLOR COMBO~, 30/42 City/Highway MPG Welcome to Brandon Volkswagen, a family-owned and operated full-service dealership. Come see why we're one of the HIGHEST VOLUME SELLING PRE-OWNED DEALERS in TAMPA BAY! We start with a GREAT SELECTION of PREMIUM INVENTORY all listed at BELOW MARKET PRICING and continue on to provide a GREAT SERVICE EXPERIENCE throughout the buying process! All of our prices are BASED ON THE RESEARCH of competitive vehicles in our local marketplace -They are ACCURATE and IN-LINE with what you will find through your own research. This helps to avoid a lengthy back-and-forth negotiation process! WE INVITE YOU TO BUY WITH CONFIDENCE!! We sell in quantity and offer the LOWEST PRICE on the best hand-picked vehicles; only a portion pass our rigorous inspection process! Call today to EXPERIENCE THE DIFFERENCE! Contact our Internet Sales team now at 813-630-4000. **1-OWNER, IMMACULATE 2012 VW JETTA TDI DIESEL W/ SUNROOF, LEATHER, ALLOY WHEELS, BLUE-TOOTH AND SO MUCH MORE!! **, ~BEST COLOR COMBO~, Recent Arrival! 30/42 City/Highway MPG Welcome to Brandon Volkswagen, a family-owned and operated full-service dealership. Come see why we're one of the HIGHEST VOLUME SELLING PRE-OWNED DEALERS in TAMPA BAY! We start with a GREAT SELECTION of PREMIUM INVENTORY all listed at BELOW MARKET PRICING and continue on to provide a GREAT SERVICE EXPERIENCE throughout the buying process! All of our prices are BASED ON THE RESEARCH of competitive vehicles in our local marketplace -They are ACCURATE and IN-LINE with what you will find through your own research. This helps to avoid a lengthy back-and-forth negotiation process! WE INVITE YOU TO BUY WITH CONFIDENCE!! We sell in quantity and offer the LOWEST PRICE on the best hand-picked vehicles; only a portion pass our rigorous inspection process! Call today to EXPERIENCE THE DIFFERENCE! Contact our Internet Sales team now at 813-630-4000. **VW CERTIFIED**, **2014 JETTA 2.0L TDI W/ ALLOY WHEELS, HEATED SEATS AND SO MUCH MORE!! **, ~BEST COLOR COMBO~, **GREAT MPG!! **, ~PLUS, X-TRA 2YR/UNLIMITED MILES OF BUMPER-TO-BUMPER COVERAGE! !~, **WON'T LAST!! 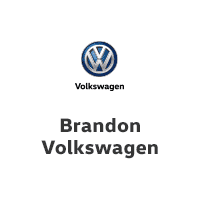 ** Welcome to Brandon Volkswagen, a family-owned and operated full-service dealership. Come see why we're one of the HIGHEST VOLUME SELLING PRE-OWNED DEALERS in TAMPA BAY! We start with a GREAT SELECTION of PREMIUM INVENTORY all listed at BELOW MARKET PRICING and continue on to provide a GREAT SERVICE EXPERIENCE throughout the buying process! All of our prices are BASED ON THE RESEARCH of competitive vehicles in our local marketplace -They are ACCURATE and IN-LINE with what you will find through your own research. This helps to avoid a lengthy back-and-forth negotiation process! WE INVITE YOU TO BUY WITH CONFIDENCE!! We sell in quantity and offer the LOWEST PRICE on the best hand-picked vehicles; only a portion pass our rigorous inspection process! Call today to EXPERIENCE THE DIFFERENCE! Contact our Internet Sales team now at 813-630-4000. **VW CERTIFIED**, **FULLY LOADED 2014 JETTA 2.0L TDI DIESEL PREMIUM EDITION W/ SUNROOF, LEATHER, BLUE-TOOTH, ALLOY WHEELS, HEATED SEATS AND SO MUCH MORE!! **, ~BEST COLOR COMBO~, **GREAT MPG!! **, ~PLUS, X-TRA 2YR/UNLIMITED MILES OF BUMPER-TO-BUMPER COVERAGE! !~ 30/42 City/Highway MPG Volkswagen Certified Pre-Owned TDI Models Details: * Vehicle History * Roadside Assistance * 100+ Point Inspection * Limited Warranty: 24 Month/Unlimited Mile beginning on the new certified purchase date or expiration of new car warranty expires (whichever occurs later) * 2 Years of 24-Hr Roadside Asst. Transferability See Dealer for Details * Warranty Deductible: $50 Welcome to Brandon Volkswagen, a family-owned and operated full-service dealership. Come see why we're one of the HIGHEST VOLUME SELLING PRE-OWNED DEALERS in TAMPA BAY! We start with a GREAT SELECTION of PREMIUM INVENTORY all listed at BELOW MARKET PRICING and continue on to provide a GREAT SERVICE EXPERIENCE throughout the buying process! All of our prices are BASED ON THE RESEARCH of competitive vehicles in our local marketplace -They are ACCURATE and IN-LINE with what you will find through your own research. This helps to avoid a lengthy back-and-forth negotiation process! WE INVITE YOU TO BUY WITH CONFIDENCE!! We sell in quantity and offer the LOWEST PRICE on the best hand-picked vehicles; only a portion pass our rigorous inspection process! Call today to EXPERIENCE THE DIFFERENCE! Contact our Internet Sales team now at 813-630-4000. **1-OWNER**, **6-SPEED MANUAL**, **FULLY LOADED 2013 JETTA TDI DIESEL PREMIUM EDITION W/ SUNROOF, LEATHER, BLUE-TOOTH, ALLOY WHEELS AND SO MUCH MORE!! **, ~BEST COLOR COMBO~, **GREAT MPG!! **, **WON'T LAST!! ** 30/42 City/Highway MPG Welcome to Brandon Volkswagen, a family-owned and operated full-service dealership. Come see why we're one of the HIGHEST VOLUME SELLING PRE-OWNED DEALERS in TAMPA BAY! We start with a GREAT SELECTION of PREMIUM INVENTORY all listed at BELOW MARKET PRICING and continue on to provide a GREAT SERVICE EXPERIENCE throughout the buying process! All of our prices are BASED ON THE RESEARCH of competitive vehicles in our local marketplace -They are ACCURATE and IN-LINE with what you will find through your own research. This helps to avoid a lengthy back-and-forth negotiation process! WE INVITE YOU TO BUY WITH CONFIDENCE!! We sell in quantity and offer the LOWEST PRICE on the best hand-picked vehicles; only a portion pass our rigorous inspection process! Call today to EXPERIENCE THE DIFFERENCE! Contact our Internet Sales team now at 813-630-4000. **1-OWNER, IMMACULATE 2011 JETTA 2.0L TDI DIESEL W/ SUNROOF, LEATHER, ALLOY WHEELS, HEATED SEATS AND SO MUCH MORE!! **, ~BEST COLOR COMBO~, **GREAT MPG!! ** Recent Arrival! 30/42 City/Highway MPG Welcome to Brandon Volkswagen, a family-owned and operated full-service dealership. Come see why we're one of the HIGHEST VOLUME SELLING PRE-OWNED DEALERS in TAMPA BAY! We start with a GREAT SELECTION of PREMIUM INVENTORY all listed at BELOW MARKET PRICING and continue on to provide a GREAT SERVICE EXPERIENCE throughout the buying process! All of our prices are BASED ON THE RESEARCH of competitive vehicles in our local marketplace -They are ACCURATE and IN-LINE with what you will find through your own research. This helps to avoid a lengthy back-and-forth negotiation process! WE INVITE YOU TO BUY WITH CONFIDENCE!! We sell in quantity and offer the LOWEST PRICE on the best hand-picked vehicles; only a portion pass our rigorous inspection process! Call today to EXPERIENCE THE DIFFERENCE! Contact our Internet Sales team now at 813-630-4000. **VW CERTIFIED**, **1-OWNER 2012 JETTA TDI DIESEL W/ LEATHER, ALLOY WHEELS, HEATED SEATS AND SO MUCH MORE!! **, **BEST COLOR COMBO**, ~PLUS, X-TRA 2YR/UNLIMITED MILES OF BUMPER-TO-BUMPER COVERAGE!~ Odometer is 18977 miles below market average! 30/42 City/Highway MPG Volkswagen Certified Pre-Owned 2012-2017 Model Years Details: * Roadside Assistance * Warranty Deductible: $50 * Vehicle History * Limited Warranty: 24 Month/24,000 Mile beginning on the new certified purchase date or expiration of new car warranty expires (whichever occurs later) * 100+ Point Inspection * 2 Years of 24-Hr Roadside Asst. Transferability See Dealer for Details Welcome to Brandon Volkswagen, a family-owned and operated full-service dealership. Come see why we're one of the HIGHEST VOLUME SELLING PRE-OWNED DEALERS in TAMPA BAY! We start with a GREAT SELECTION of PREMIUM INVENTORY all listed at BELOW MARKET PRICING and continue on to provide a GREAT SERVICE EXPERIENCE throughout the buying process! All of our prices are BASED ON THE RESEARCH of competitive vehicles in our local marketplace -They are ACCURATE and IN-LINE with what you will find through your own research. This helps to avoid a lengthy back-and-forth negotiation process! WE INVITE YOU TO BUY WITH CONFIDENCE!! We sell in quantity and offer the LOWEST PRICE on the best hand-picked vehicles; only a portion pass our rigorous inspection process! Call today to EXPERIENCE THE DIFFERENCE! Contact our Internet Sales team now at 813-630-4000. **VW CERTIFIED**, **1-OWNER 2013 JETTA SPORTWAGEN 2.0L TDI DIESEL W/ SUNROOF, LEATHER, ALLOY WHEELS, HEATED SEATS AND SO MUCH MORE!! **, ~BEST COLOR COMBO~, **GREAT MPG!! **, ~PLUS, X-TRA 2YR/UNLIMITED MILES OF BUMPER-TO-BUMPER COVERAGE! !~ Volkswagen Certified Pre-Owned TDI Models Details: * Roadside Assistance * Limited Warranty: 24 Month/Unlimited Mile beginning on the new certified purchase date or expiration of new car warranty expires (whichever occurs later) * Vehicle History * 100+ Point Inspection * Warranty Deductible: $50 * 2 Years of 24-Hr Roadside Asst. Transferability See Dealer for Details Welcome to Brandon Volkswagen, a family-owned and operated full-service dealership. Come see why we're one of the HIGHEST VOLUME SELLING PRE-OWNED DEALERS in TAMPA BAY! We start with a GREAT SELECTION of PREMIUM INVENTORY all listed at BELOW MARKET PRICING and continue on to provide a GREAT SERVICE EXPERIENCE throughout the buying process! All of our prices are BASED ON THE RESEARCH of competitive vehicles in our local marketplace -They are ACCURATE and IN-LINE with what you will find through your own research. This helps to avoid a lengthy back-and-forth negotiation process! WE INVITE YOU TO BUY WITH CONFIDENCE!! We sell in quantity and offer the LOWEST PRICE on the best hand-picked vehicles; only a portion pass our rigorous inspection process! Call today to EXPERIENCE THE DIFFERENCE! Contact our Internet Sales team now at 813-630-4000. **VW CERTIFIED**, **1-OWNER 2014 JETTA SPORTWAGEN 2.0L TDI DIESEL W/ LEATHER, ALLOY WHEELS, HEATED SEATS AND SO MUCH MORE!! **, ~BEST COLOR COMBO~, **GREAT MPG!! **, ~PLUS, X-TRA 2YR/UNLIMITED MILES OF BUMPER-TO-BUMPER COVERAGE! !~ Volkswagen Certified Pre-Owned TDI Models Details: * Vehicle History * Limited Warranty: 24 Month/Unlimited Mile beginning on the new certified purchase date or expiration of new car warranty expires (whichever occurs later) * 2 Years of 24-Hr Roadside Asst. Transferability See Dealer for Details * Warranty Deductible: $50 * 100+ Point Inspection * Roadside Assistance Welcome to Brandon Volkswagen, a family-owned and operated full-service dealership. Come see why we're one of the HIGHEST VOLUME SELLING PRE-OWNED DEALERS in TAMPA BAY! We start with a GREAT SELECTION of PREMIUM INVENTORY all listed at BELOW MARKET PRICING and continue on to provide a GREAT SERVICE EXPERIENCE throughout the buying process! All of our prices are BASED ON THE RESEARCH of competitive vehicles in our local marketplace -They are ACCURATE and IN-LINE with what you will find through your own research. This helps to avoid a lengthy back-and-forth negotiation process! WE INVITE YOU TO BUY WITH CONFIDENCE!! We sell in quantity and offer the LOWEST PRICE on the best hand-picked vehicles; only a portion pass our rigorous inspection process! Call today to EXPERIENCE THE DIFFERENCE! Contact our Internet Sales team now at 813-630-4000. **VW CERTIFIED**, **1-OWNER 2013 JETTA SPORTWAGEN 2.0L TDI DIESEL W/ LEATHER, BLUE-TOOTH, ALLOY WHEELS, HEATED SEATS AND SO MUCH MORE!! **, ~BEST COLOR COMBO~, **PLUS, X-TRA 2YR/UNLIMITED MILES OF BUMPER-TO-BUMPER COVERAGE!! Recent Arrival! 29/39 City/Highway MPG Volkswagen Certified Pre-Owned TDI Models Details: * 100+ Point Inspection * Limited Warranty: 24 Month/Unlimited Mile beginning on the new certified purchase date or expiration of new car warranty expires (whichever occurs later) * Roadside Assistance * Warranty Deductible: $50 * Vehicle History * 2 Years of 24-Hr Roadside Asst. Transferability See Dealer for Details Welcome to Brandon Volkswagen, a family-owned and operated full-service dealership. Come see why we're one of the HIGHEST VOLUME SELLING PRE-OWNED DEALERS in TAMPA BAY! We start with a GREAT SELECTION of PREMIUM INVENTORY all listed at BELOW MARKET PRICING and continue on to provide a GREAT SERVICE EXPERIENCE throughout the buying process! All of our prices are BASED ON THE RESEARCH of competitive vehicles in our local marketplace -They are ACCURATE and IN-LINE with what you will find through your own research. This helps to avoid a lengthy back-and-forth negotiation process! WE INVITE YOU TO BUY WITH CONFIDENCE!! We sell in quantity and offer the LOWEST PRICE on the best hand-picked vehicles; only a portion pass our rigorous inspection process! Call today to EXPERIENCE THE DIFFERENCE! Contact our Internet Sales team now at 813-630-4000. **VW CERTIFIED**, **2012 JETTA SPORTWAGEN 2.0L TDI DIESEL W/ LEATHER, ALLOY WHEELS, HEATED SEATS AND SO MUCH MORE!! **, ~BEST COLOR COMBO~, **PLUS, X-TRA 2YR/UNLIMITED MILES OF BUMPER-TO-BUMPER COVERAGE!! Recent Arrival! Odometer is 25825 miles below market average! 29/39 City/Highway MPG Volkswagen Certified Pre-Owned TDI Models Details: * Roadside Assistance * Warranty Deductible: $50 * 100+ Point Inspection * Vehicle History * 2 Years of 24-Hr Roadside Asst. Transferability See Dealer for Details * Limited Warranty: 24 Month/Unlimited Mile beginning on the new certified purchase date or expiration of new car warranty expires (whichever occurs later) Welcome to Brandon Volkswagen, a family-owned and operated full-service dealership. Come see why we're one of the HIGHEST VOLUME SELLING PRE-OWNED DEALERS in TAMPA BAY! We start with a GREAT SELECTION of PREMIUM INVENTORY all listed at BELOW MARKET PRICING and continue on to provide a GREAT SERVICE EXPERIENCE throughout the buying process! All of our prices are BASED ON THE RESEARCH of competitive vehicles in our local marketplace -They are ACCURATE and IN-LINE with what you will find through your own research. This helps to avoid a lengthy back-and-forth negotiation process! WE INVITE YOU TO BUY WITH CONFIDENCE!! We sell in quantity and offer the LOWEST PRICE on the best hand-picked vehicles; only a portion pass our rigorous inspection process! Call today to EXPERIENCE THE DIFFERENCE! Contact our Internet Sales team now at 813-630-4000. **VW CERTIFIED**, **2013 JETTA 2.0L TDI DIESEL W/ LEATHER, BLUE-TOOTH, ALLOY WHEELS, HEATED SEATS AND SO MUCH MORE!! **, ~BEST COLOR COMBO~, **PLUS, X-TRA 2YR/UNLIMITED MILES OF BUMPER-TO-BUMPER COVERAGE!! 30/42 City/Highway MPG Volkswagen Certified Pre-Owned TDI Models Details: * Roadside Assistance * 2 Years of 24-Hr Roadside Asst. Transferability See Dealer for Details * Limited Warranty: 24 Month/Unlimited Mile beginning on the new certified purchase date or expiration of new car warranty expires (whichever occurs later) * Warranty Deductible: $50 * 100+ Point Inspection * Vehicle History Welcome to Brandon Volkswagen, a family-owned and operated full-service dealership. Come see why we're one of the HIGHEST VOLUME SELLING PRE-OWNED DEALERS in TAMPA BAY! We start with a GREAT SELECTION of PREMIUM INVENTORY all listed at BELOW MARKET PRICING and continue on to provide a GREAT SERVICE EXPERIENCE throughout the buying process! All of our prices are BASED ON THE RESEARCH of competitive vehicles in our local marketplace -They are ACCURATE and IN-LINE with what you will find through your own research. This helps to avoid a lengthy back-and-forth negotiation process! WE INVITE YOU TO BUY WITH CONFIDENCE!! We sell in quantity and offer the LOWEST PRICE on the best hand-picked vehicles; only a portion pass our rigorous inspection process! Call today to EXPERIENCE THE DIFFERENCE! Contact our Internet Sales team now at 813-630-4000. **VW CERTIFIED**, **FULLY LOADED 2014 JETTA 2.0L TDI DIESEL PREMIUM EDITION W/ SUNROOF, LEATHER, BLUE-TOOTH, ALLOY WHEELS, HEATED SEATS AND SO MUCH MORE!! **, ~BEST COLOR COMBO~, **GREAT MPG!! **, ~PLUS, X-TRA 2YR/UNLIMITED MILES OF BUMPER-TO-BUMPER COVERAGE! !~ 30/42 City/Highway MPG Volkswagen Certified Pre-Owned TDI Models Details: * Vehicle History * Roadside Assistance * Limited Warranty: 24 Month/Unlimited Mile beginning on the new certified purchase date or expiration of new car warranty expires (whichever occurs later) * 2 Years of 24-Hr Roadside Asst. Transferability See Dealer for Details * Warranty Deductible: $50 * 100+ Point Inspection Welcome to Brandon Volkswagen, a family-owned and operated full-service dealership. Come see why we're one of the HIGHEST VOLUME SELLING PRE-OWNED DEALERS in TAMPA BAY! We start with a GREAT SELECTION of PREMIUM INVENTORY all listed at BELOW MARKET PRICING and continue on to provide a GREAT SERVICE EXPERIENCE throughout the buying process! All of our prices are BASED ON THE RESEARCH of competitive vehicles in our local marketplace -They are ACCURATE and IN-LINE with what you will find through your own research. This helps to avoid a lengthy back-and-forth negotiation process! WE INVITE YOU TO BUY WITH CONFIDENCE!! We sell in quantity and offer the LOWEST PRICE on the best hand-picked vehicles; only a portion pass our rigorous inspection process! Call today to EXPERIENCE THE DIFFERENCE! Contact our Internet Sales team now at 813-630-4000. **VW CERTIFIED**, **1-OWNER 2013 JETTA SPORTWAGEN 2.0L TDI DIESEL W/ LEATHER, ALLOY WHEELS, HEATED SEATS AND SO MUCH MORE!! **, ~BEST COLOR COMBO~, **GREAT MPG!! **, ~PLUS, X-TRA 2YR/UNLIMITED MILES OF BUMPER-TO-BUMPER COVERAGE! !~ Volkswagen Certified Pre-Owned TDI Models Details: * Vehicle History * Warranty Deductible: $50 * 2 Years of 24-Hr Roadside Asst. Transferability See Dealer for Details * Limited Warranty: 24 Month/Unlimited Mile beginning on the new certified purchase date or expiration of new car warranty expires (whichever occurs later) * 100+ Point Inspection * Roadside Assistance Welcome to Brandon Volkswagen, a family-owned and operated full-service dealership. Come see why we're one of the HIGHEST VOLUME SELLING PRE-OWNED DEALERS in TAMPA BAY! We start with a GREAT SELECTION of PREMIUM INVENTORY all listed at BELOW MARKET PRICING and continue on to provide a GREAT SERVICE EXPERIENCE throughout the buying process! All of our prices are BASED ON THE RESEARCH of competitive vehicles in our local marketplace -They are ACCURATE and IN-LINE with what you will find through your own research. This helps to avoid a lengthy back-and-forth negotiation process! WE INVITE YOU TO BUY WITH CONFIDENCE!! We sell in quantity and offer the LOWEST PRICE on the best hand-picked vehicles; only a portion pass our rigorous inspection process! Call today to EXPERIENCE THE DIFFERENCE! Contact our Internet Sales team now at 813-630-4000.